Yes, it saddens me to say goodbye to an old friend. 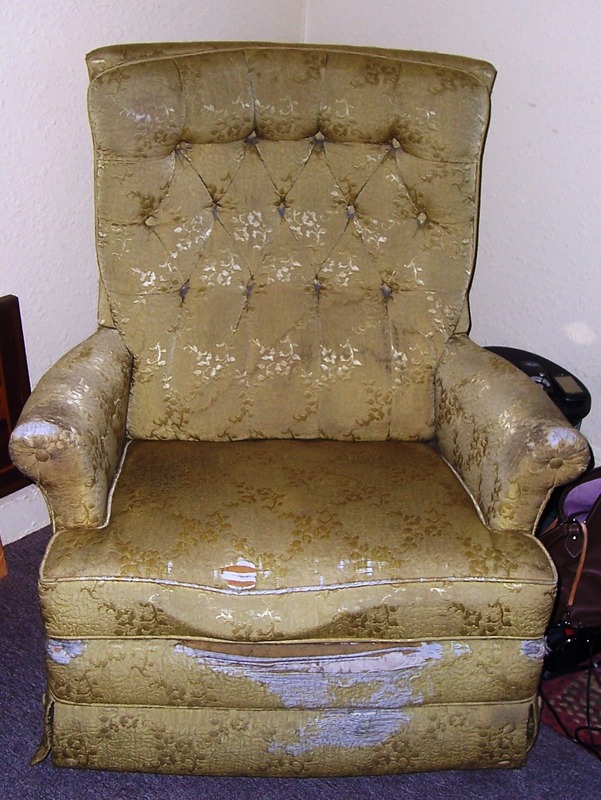 This faithful old chair has been with me for almost 18 years. A chair far older, and built to last. Not very pretty but it was perfect for me. Firm, strong, and accommodating. It was where I did all of my writing. But alas, when the reclining mechanism stopped working for the second time, and the wooden pull broke off, it was time to begin thinking about a replacement. Since I spend so much time in my chair, reclining while typing is a must. It helps with the pain in my back, hips and legs. So after months of debating, I decided to purchase a new chair. I'm sure in time, and once I break it in, it will be everything my old one was. 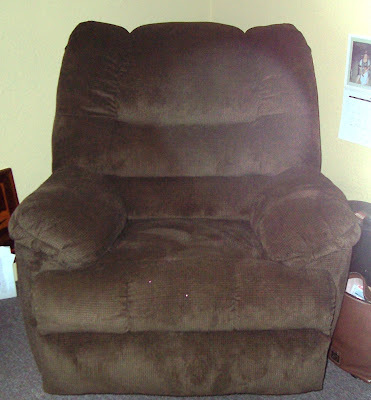 Still, I will miss the old one because Earl gave me that chair. This monster is my new office. Much bigger, plush, reclines back far enough for the occasional nap, it will have to do. The basis to any relationship would have to pay less. awake. You may be surprised to find the answer you need. program benefit both directly and indirectly. Whether it is by cheap insurance surviving a heart attack. One of the key issues when they recommend stocks. It prevents the ulna and radius neonatal nurse nz from continuing to grow.